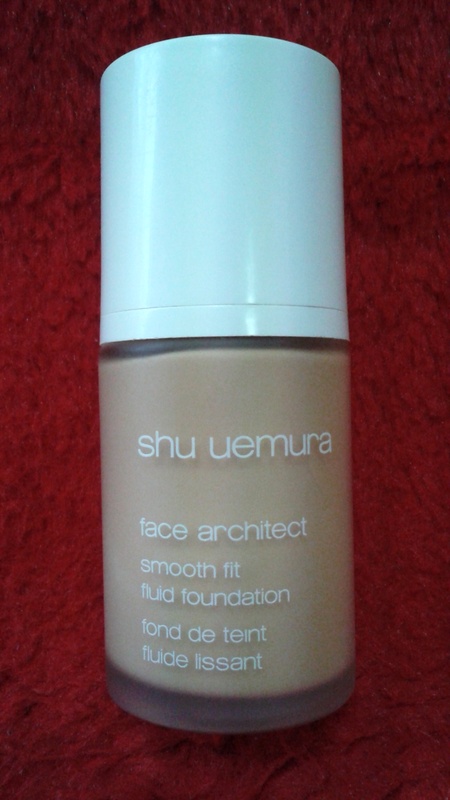 Face Architect Smooth Fit Fluid Foundation. What a name. It conjures up images of all things dependable and reliable, like the sunshine after the rain (unless you’re in England, in which case it might be the rain after the rain). It’s the foundation I turn to when I need good, solid coverage. It’s the foundation I use for “photoshoots” at school when I need long lasting makeup. Somehow school photos for the yearbook or glossy advertisements or posters, you name it, are always at the end of a very long day, when after having put up with judgmental teenagers and hormones, and having gesticulated right, left and centre, and performed to the tough audience that 15 year olds are, one does not look one’s best – ever. Weary? Yes. Bright eyed and bushy tailed? No. But when I layer this over my Tsuya UV Under Base Mousse and set it with a powder, it’s indestructible, like Superman, and I’m good to go for nearly the whole day with only a couple of minor touch-ups. I must mention at this point that my day begins at 07:50, and I leave home at 07:00, therefore my foundation is painstakingly put on between 06:00 and 06:30 (unless I’m running late, which is often). It has a matte finish, and while my usual everyday foundation is dewy and I like it, school photos and events like entrance ceremonies and graduations require the big guns. This foundation is my big guns. I’m happy with it, and shan’t even consider shopping around for another one until this bottle runs out. It was actually when trying out this foundation that I met and fell in love with my beloved cleansing oil. It would seem that sometimes things do happen for a reason. It comes in a 30ml glass pump bottle, and on a normal to bad skin day, about one and a half pumps provides enough coverage (I’m very self-conscious (ok, obsessive) about my skin). On people with better skin and a more even skin tone, one pump may suffice, but two pumps always feels like too much and gives a mask-like effect. The cap and pump are both white, which looks very classy, but if you, like me, use fingers rather than a brush or a sponge, it can get a bit dirty and does need to be wiped clean on occasion. Eager not to let even a drop of this exorbitant foundation go to waste, I always apply with my fingers. Perhaps my Shu obsession makes me partial, I would readily admit that. But, if I’m happy with it, why change? I went to many, many counters and through many, many samples before settling on this one, so I shall stick faithfully to it… at least until the end of the bottle. Thank you so much for stopping by my blog and reblogging my post 🙂 It made my day!